Juice allows the digestive system to rest while supplying the body’s cells with easily assimilated nutrients vital to health as well as provides an internal cleansing boost. Of the many juices I create, my ultimate favorite blend is both potent and green, low in sugar and exceptionally nourishing. Green leafy vegetables furnish the body with the building blocks of protein by way of an abundance of amino acids and are a rich source of essential vitamins and minerals, not to mention chlorophyll. I love mixing deep, dark green leafy vegetables with tart and pungent elements, in countless combinations with ingredients tailored to whatever produce I have on hand and what seems most appealing. There are numerous ways to vary juice components, and I wholeheartedly recommend rotating what greens are used, depending upon the growing season. Diversification widens the scope of essential vitamins and minerals as well as keeps things interesting. Fresh herbs are always a medicinal plus! 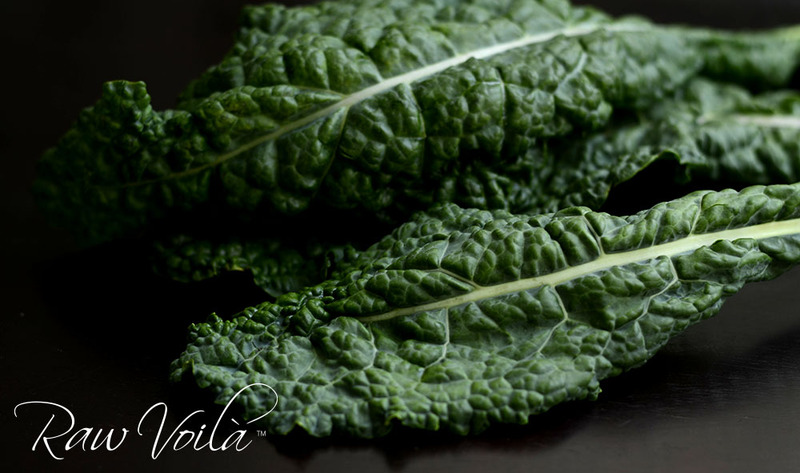 A member of the brassica family, kale is high in vitamins K and C, is a good source of iron, and is exceptional for aiding detoxification of the liver. Lacinato (aka Tuscan or Cavolo Nero) is a deeply pigmented, rather tender variety of kale with a somewhat bitter, ever-so-slighty nutty, strong earthy taste that enlivens the palate and plays a starring role in this particular mix. Belonging to the ginger family, turmeric is earthy, slightly citrusy and peppery in flavor. It is anti-bacterial, anti-fungal, anti-inflammatory, also aids in detoxifying the liver, and increases overall immunity. I love adding fresh turmeric to various juice concoctions, and in general find it to be quite grounding. Pineapple is an excellent source of antioxidants and the widely therapeutic enzyme bromelain. Its sweetness perfectly balances the inherent sharp characteristics of the Lacinato kale and turmeric root, as well as nicely complements the tartness of the Granny Smith apple. Cilantro is fantastic for aiding the body in removing heavy metals and wonderfully pairs with lime. 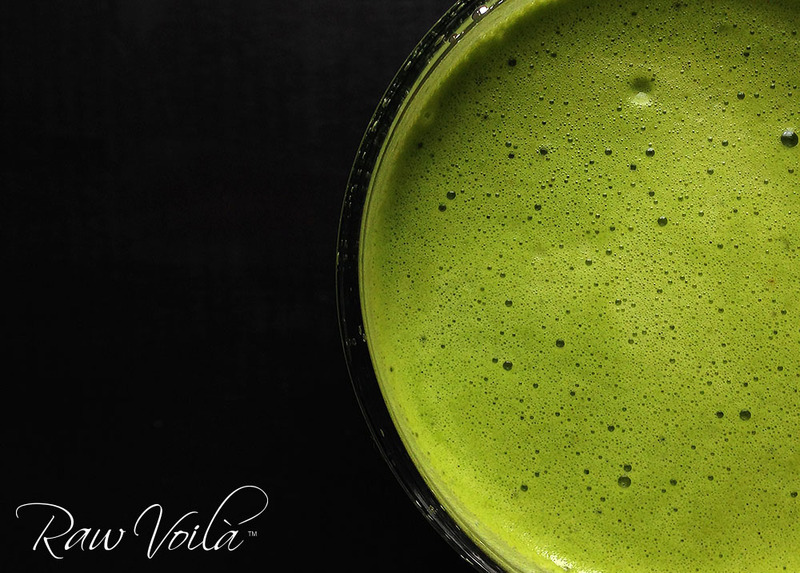 Liquid Green is deliciously bold and is a great introduction to the world of full-bodied green juices. Enjoy! Process all of the ingredients through a juicer of your choice. Stir gently and serve! To help limit your exposure to harmful pesticide residues and waxed coatings often associated with conventional produce, try to purchase organically grown fruits and vegetables as often as possible. The listed ingredients should roughly amount to 16 ounces of juice, depending on how much liquid your kale, turmeric root, apple, pineapple, cilantro and lime yield. It is best to serve fresh juices soon after they are made due to oxidation and degrading of nutrients. However, they can be tightly sealed and placed inside of the refrigerator for short-term storage (a day or two). While the final outcome will somewhat vary each time a juice is made, produce size (as well as quality) does play an important part. In the list of ingredients, I noted 2 cups Lacinato kale, stemmed (veins left intact), firmly packed. ‘Stemmed’ refers to removing the tough stem found at the base of each Lacinato kale leaf. The veins found within the middle of each leaf can be left intact as they are more tender and easy to collapse for measuring purposes. Firmly packing the kale leaves helps to ensure an accurate measurement, and in turn results in a balanced end product. 1 ripe medium Granny Smith apple, cored (skin left on): A medium Granny Smith apple would equate to at least 2 and 1/2 inches in width and 2 inches in height. Half of 1 ripe medium pineapple, rind removed, core left intact: A medium pineapple would equate to at least 4 inches in width and 5 inches in height (excluding the green top). Half of 1 ripe small green lime, with peel: A small green lime would equate to at least 1 and 1/2 inches in width and 1 and 1/2 inches in height. Granny Smith apples morph from green to yellow as they ripen. The best tasting Granny Smith apples I have encountered have green skin that is yellow-tinged as well as a hint rosy. Their flavor profile is also slightly sweet and less acidic versus that of a completely green-skinned Granny Smith apple, which tends to be much more tart and strongly acidic. The riper the Granny Smith apple, the sweeter it will be. The leaves of a ripe pineapple will be easy to remove by either simply pulling them free or slightly twisting and pulling them free. The rind will become more golden and the fruit will give off a rounded sweet fragrance. As green limes ripen, they will become lighter in color, a softer shade of green to yellowish. Their flavor profile will also be less acidic. Save the leftover pulp for adding to soups or as an ingredient in making breads, crackers or pâtés. No need to throw that extra goodness away! The leftover pulp can last a day or two if stored in a tightly sealed container and kept inside of the refrigerator. If you are not able to use the leftover pulp in that amount of time, storing it inside of the freezer may be a better option. Champagne in the morning is a beautiful thing, especially when it is exceptionally high in vitamin C and a great source of vitamin A and folate—champagne as in Champagne mango, also known as Ataulfo. The succulent, melt-in-your-mouth flesh is virtually non-stringy, intensely orange and sticky sweet. The best specimens have slightly-wrinkled, deep golden skin and are soft to a gentle squeeze. Champagne mangoes are one of my favorite varieties of mango that I excitedly indulge in every year. And while I do include them in various concoctions, from decadent sauces to spicy salsa to velvety smoothies and more, I love having them in their most natural form. Crème de Champagne is a nice compromise in retaining more of the fruit’s natural flavor profile and at the same time increasing its nutrient content by adding a lovely dose of Omega 3 by way of hemp seed oil and extra trace minerals via pink crystal salt. Additionally, the nuttiness and slight sweetness of hemp seed oil pairs beautifully with this type of mango, deepening the overall flavor. The oil also enhances the creaminess. The pink crystal salt boosts the natural sweetness of the mango while the mint lends a playful brightness across the tongue and nicely complements every component. And although it is a simple mix, the end result is gorgeous with a silky mouthfeel and delicious, rich taste. Using a high-speed blender, purée the mango, hemp seed oil, and salt just until the mixture becomes creamy, pausing periodically to scrape down the sides and help the mixture turn over. Be mindful not to liquify the mango, the intent is viscous rather than runny. Process the mixture through a very fine mesh sieve, such as a chinois, to ensure the silky texture is completely stringless. Serve Crème de Champagne in a small bowl garnished with fresh mint leaves. Perfect for one comfortable serving or two very small servings. Enjoy! To help limit your exposure to harmful pesticide residues often associated with conventional produce, try to purchase organically grown fruits as often as possible. The listed ingredients should roughly amount to 3 ounces of Crème de Champagne, depending on how much flesh your mangoes yield. Double or triple the recipe as needed. In the list of ingredients, I noted 3 large ripe Champagne mangoes, peeled and seeded. A large Champagne mango would equate to at least 4 inches in length and 2 and 1/2 inches in width. In general, Champagne mangoes with deep golden skin tend to be much sweeter than those that are lighter yellow, and are definitely more sweet than those with green-tinged and fully green skin. The paler and more green the Champagne mango, the less ripe and the more tart it tends to be. And the deeper the golden hue, the riper and sweeter it tends to be. Don’t be afraid of slightly wrinkled skin, it’s just fine with this variety of mango, and in fact can be a good indicator of ripeness. A really ripe Champagne mango may be speckled throughout with small dark spots, and can also be more than slightly wrinkly—both of which can still be okay. 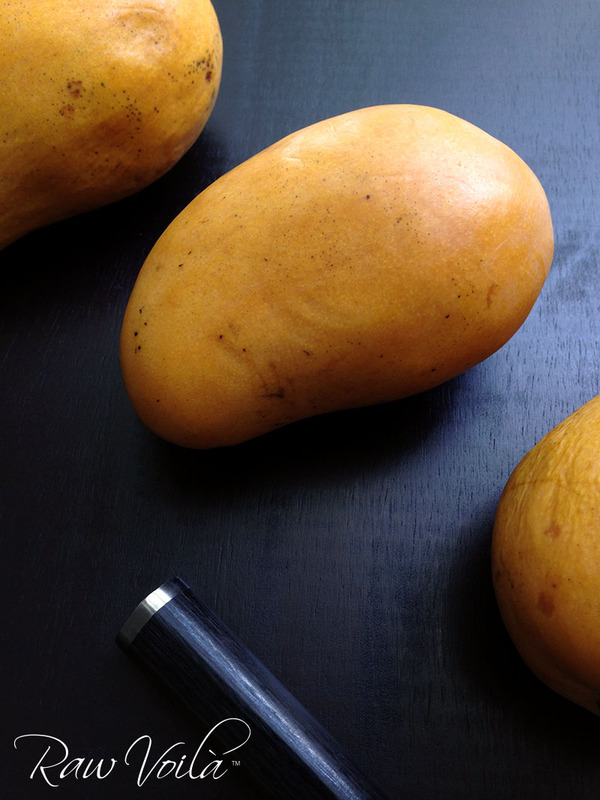 Although, on occasion, a really ripe Champagne mango can slightly lean toward bitterness as well as have some brown patches throughout the flesh. However, a few of the tastiest and memorable ones I have had happened to be pretty ripe, so be open to discovering those as well. Definitely avoid Champagne mangoes with medium and large black spots as they will have become overripe, watery, and unpalatable. All of that said, for this particular recipe, I only use ripe Champagne mangoes with deep golden skin (as pictured above) versus any that are really ripe and covered with dark spots. 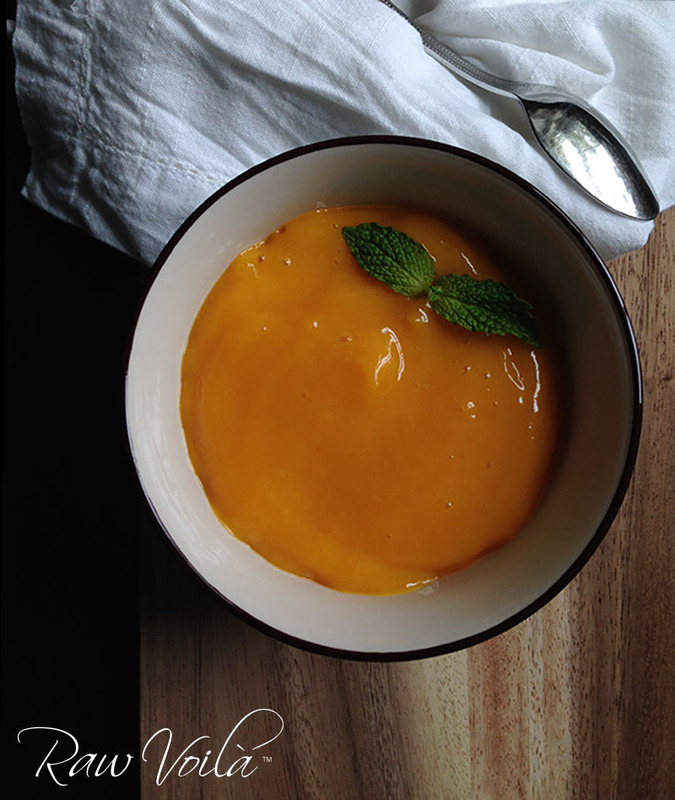 I also prefer to not add any type of sweetener to this recipe, as wonderfully ripe Champagne mangoes are naturally sweet enough. Crème de Champagne can easily be utilized beyond this recipe. It can also serve as a base for a pie filling, truffle filling, used as an ice cream topping, to create sorbet, used as a layer in a parfait, a salad dressing component, used to create a fruit soup, and just about anything you may imagine. The sky still bright and the sun vibrant, though now less warm as the air becomes crisp with the familiar chill of Fall. The leaves turn beautiful shades of gold and red, gently released from branches and piling underfoot. A shift from cooling comforts to all things snuggly, and appreciating the change of seasons. Homemade bread continues to be a cozy staple that I enjoy even when it’s balmy out, although I feel it pairs best with the dropping temperature. Pictured here is another rustic favorite, inspired by earthiness and nurturing—hearty and rich-tasting without the weightiness of its traditional counterpart, which this bread is always delightfully compared to. Warm smiles across lips, eyes twinkling, happy sounds upon first bites, all aid in sustaining passion for what I do. To positively impact even one person’s life by way of creating something healthful and delicious makes all the difference, and keeps me forging ahead. 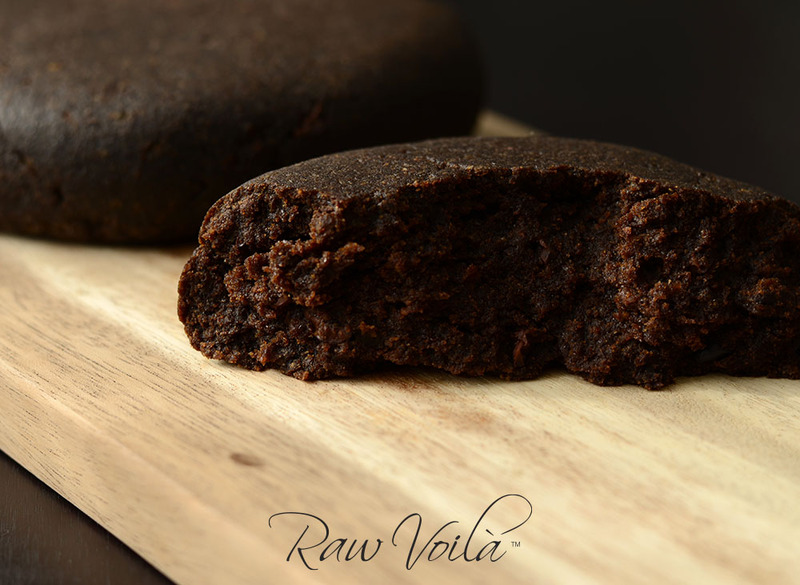 Much is transpiring behind the scenes at Raw Voilà, and excitement increases for when details can be shared.